The September 2014 issue of Carolina Arts is up on our website at (www.carolinaarts.com) – all 82 pages of it. Can you tell, Summer is over. It may not feel like it, but it is. 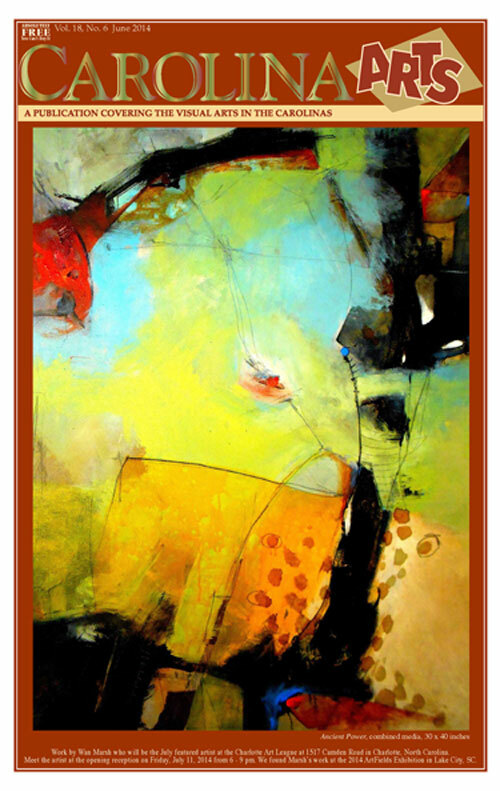 For single page format use this link (http://www.carolinaarts.com/914/914carolinaarts-sp.pdf). 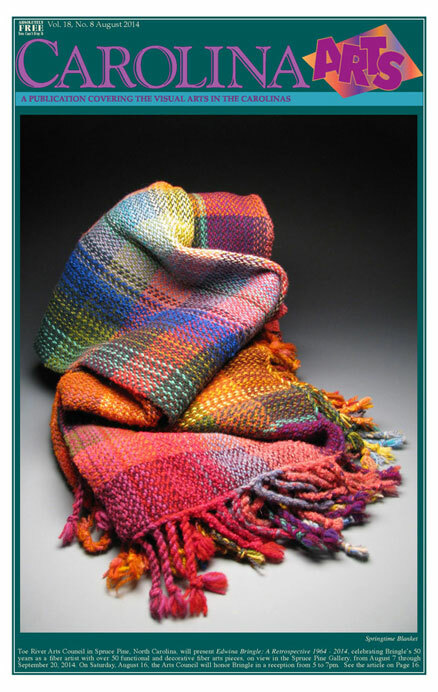 For side by side page format use this link (http://www.carolinaarts.com/914/914carolinaarts-dp.pdf). If you want to get something in the October 2014 issue – send it now or as soon as you can. Don’t wait till the Sept. 24 deadline – or you could be left out. It happens. The August 2014 issue of Carolina Arts is up on our website at (www.carolinaarts.com) – all 64 pages of it. 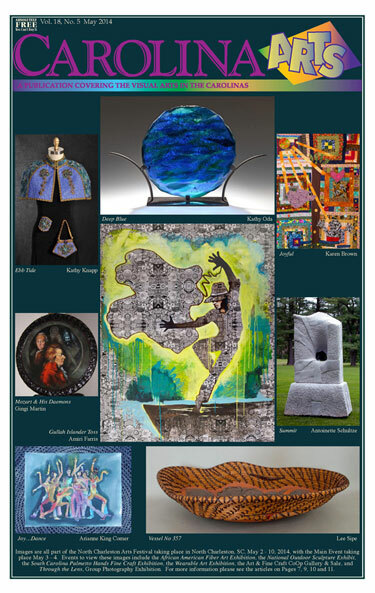 For single page format use this link (http://www.carolinaarts.com/814/814carolinaarts-sp.pdf). 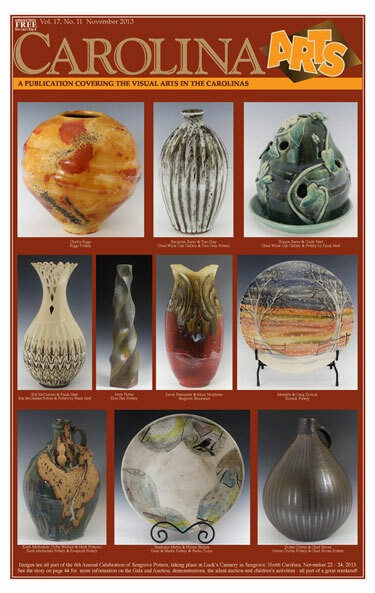 For side by side page format use this link (http://www.carolinaarts.com/814/814carolinaarts-dp.pdf). If you want to get something in the September issue – send it now or as soon as you can. Don’t wait till the Aug. 24 deadline – or you could be left out. It happens. 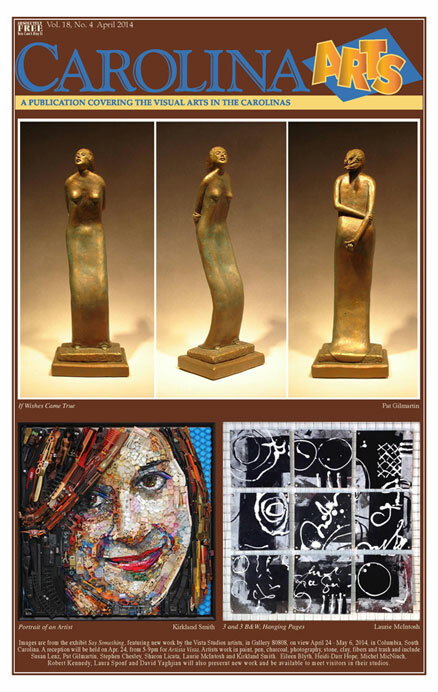 The June 2014 issue of Carolina Arts is up on our website at (www.carolinaarts.com) – all 60 pages of it. 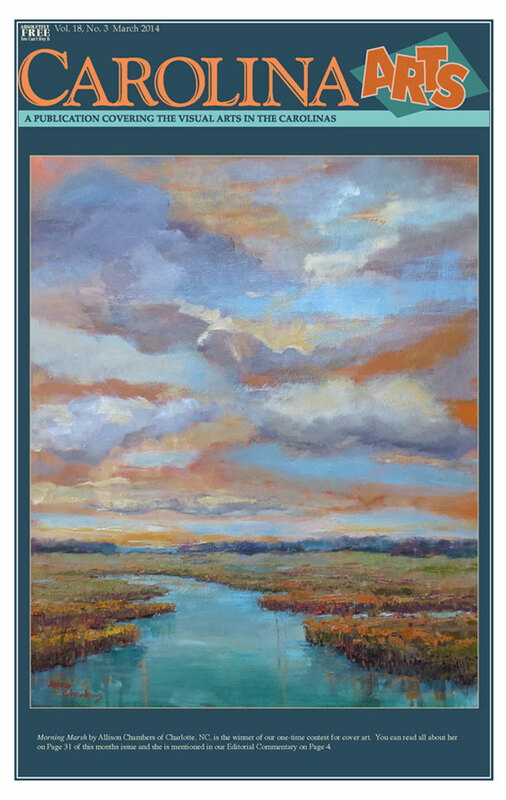 For single page format use this link (http://www.carolinaarts.com/614/614carolinaarts-singlepgs.pdf). For side by side page format use this link (http://www.carolinaarts.com/614/614carolinaarts-dblpgspreads.pdf). If you want to get something in the July issue – send it now or as soon as you can. Don’t wait till the June 24 deadline – or you could be left out. It happens. 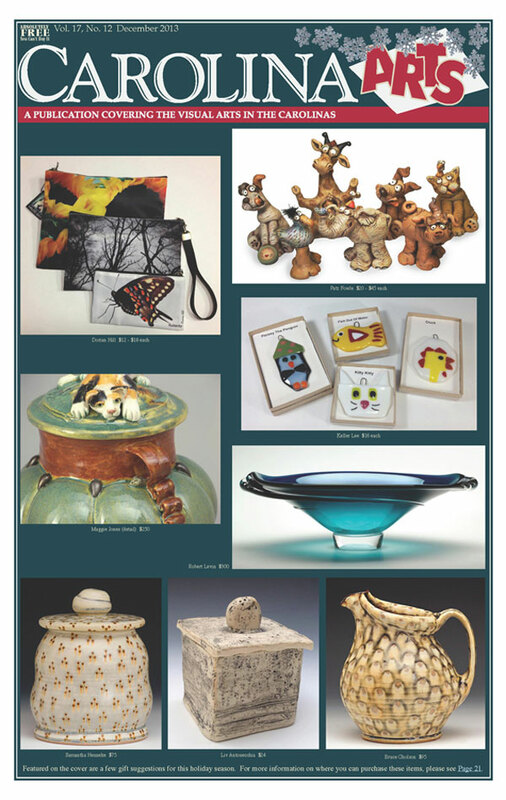 The May 2014 issue of Carolina Arts is up on our website at (www.carolinaarts.com) – all 80 pages of it. Linda has done something different this month. She has put the paper in spreads so you will see two pages next to each other and will be able to turn pages two at a time. Let us know what you think of this new format. Summer is not far off – we can feel the heat already, but it’s not too hot to have some ice tea, lemonade, or even some beer or wine, while enjoying this May issue. If you want to get something in the June issue – send it now or as soon as you can. Don’t wait till the May 24 deadline – or you could be left out. It happens. 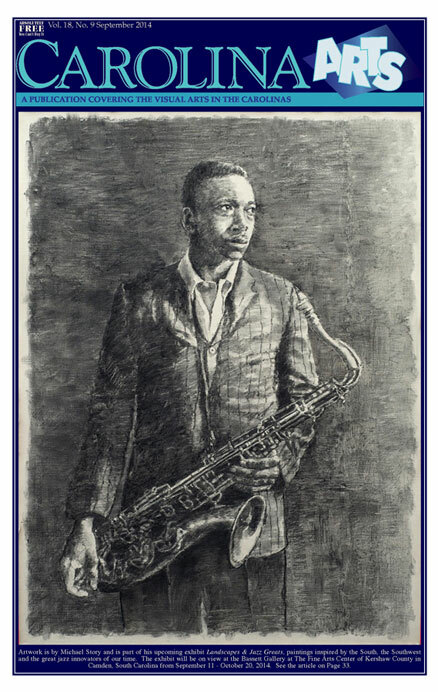 The March 2014 issue of Carolina Arts is up on our website at (www.carolinaarts.com) – all 73 pages of it. I’m sure Winter is running out of gas for us in the South, while many of my friends back up North still have a month and some to suffer. And they are suffering. One friend in Michigan has had almost 200 inches of snow fall in their yard. Well, it fell all over the county they live in, but it also fell in their driveway, on their house, and in their yard. It’s the price you pay to have 70 degree weather in August. And help us spread the paper around by send these links to your friends. 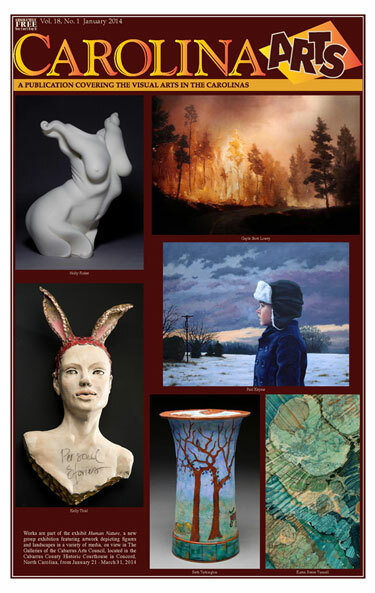 The January 2014 issue of Carolina Arts is up on our website at (www.carolinaarts.com) – all 66 pages of it. That’s right – the same number of pages as last month. Winter just might really show up this month, so when you’re huddled in your home we hope you’ll spend some time downloading our paper, read through it, and send the link to download it to your e-mail, Facebook and Twitter friends. So download that PDF and dig in – it makes for good reading and shows that you have lots of opportunities to enjoy the visual arts in the Carolinas in this new year. And, don’t forget to find a way to thank our advertisers – they make the paper possible. 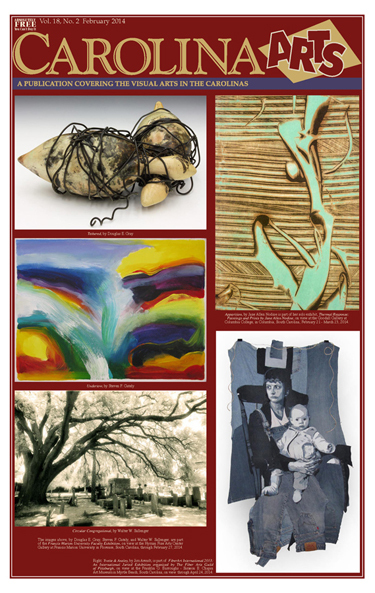 The December 2013 issue of Carolina Arts is up on our website at (www.carolinaarts.com) – all 66 pages of it. Winter has been showing its face already, so when you’re huddled in your home we hope you’ll spend some time downloading our paper, read through it, and send the link to download it to your e-mail, Facebook and Twitter friends. We’re asking the Internet spirits and you for a bunch of new “Likes” on our Facebook page – we’d like to reach the 2,000 mark by the end of the year. So download that PDF and dig in – it makes for good reading and shows that you have lots of opportunities to enjoy the visual arts in the Carolinas in December before the holiday take over our lives -like last month. And, don’t forget to find a way to thank our advertisers – they make the paper possible.